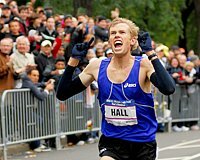 "A 1962 North Eugene High School graduate who went on to run for Bowerman at the University of Oregon and as an Olympic marathoner, (Kenny) Moore said he already has cleared the critical hurdle that worried him most: the readers of �Let�s Run,� a Web site for the world�s hardest core runners. The comments posted there can be savage, brutal,� Moore said this week. �But they loved it. Plus, he said, the sharpest-eyed local readers likely weighed in when the book first came out in hardcover, helping him correct errors in subsequent paperbacks." Audio Weekly Review: Runnerville Podcast #3 Wejo chimes in for the first time thanking Mo Greene, plus Millorse, and running as a cash cow. Tyson Gay and Adidas Crew are in Beijing Gay, Allyson Felix, and Jeremy Wariner all run for adidas. Craig Masback better start working hard. Gay is training 3 time s ad ay in his attempt to get 3 Olympic golds. 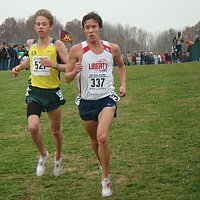 Jenelle Deatherage Was in Same High School Class as Tim Broe Deatherage had really flown under the radar before her big win at Reebok last weekend. 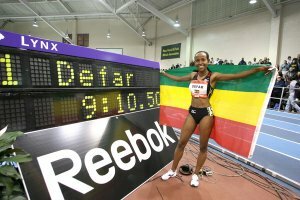 So much show she didn't even think she could make the 2004 Olympic team despite finishing 4th at the Trials: "My experience in 2004 was, I convinced myself before we ever stepped on the track who'd be on the team"
Defar's 3k World Record Attempt Comes Up Short As World Leaders Abound Defar had to be content with a world leading 8:23. In the men's 800, Borzakovskiy ran a world leading 800 (1:45 58). 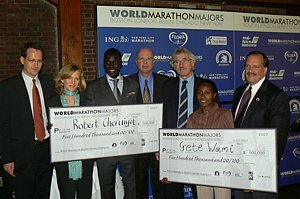 and T. Bekele got a world leader in the 3k (7:31.09). In both hurdles races, Robles and Harrigan became the #2 performers in history. In the long jump, the British record fell. *Reuters Recap Of Stuttgart Meet - Hurdlers Robles and Kallur Become 2nd Fastest Ever In the women's hurdles, only a Soviet is ahead (you know what we think of that).